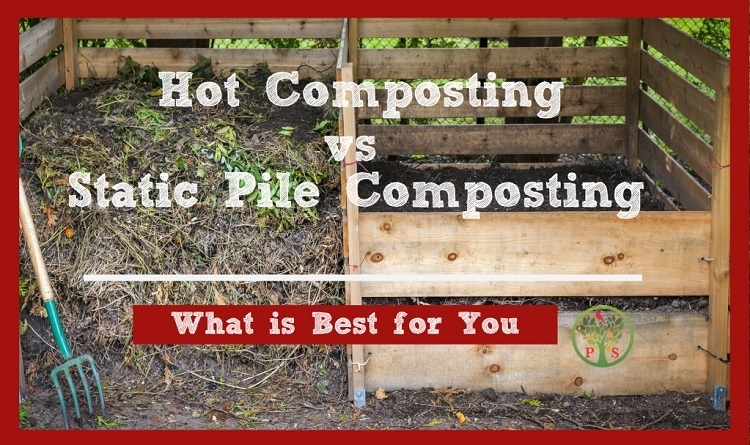 Hot Composting vs Static Pile Composting | Is Hot Composting Best? / Hot Composting or Static Pile Composting? Hot Composting or Static Composting are the two camps in how to compost. So what is best? We’ll cover the pros and cons of hot composting vs static pile composting so you can decide what is best for you. We have a composting page dedicated to providing informative articles. If you want to explore other composting methods, download our Free Ultimate Guide to Composting. Hot Composting has a few synonyms – thermal aerobic composting and batch composting. Hot composting is probably the most common name. Hot composting is the decomposition of organic materials in the presence of oxygen and heat. One of the major benefits of hot composting is that you get finished compost in around 30 days. No waiting 1-2 years like static pile composting. Because all the material is heated and the pile turned to keep oxygen in, hot composting kills the weed seeds and any potential plant or human pathogen that may be in the compost materials. Hot composting requires that you build the compost pile all at once, and then not add any more material. So you stockpile your fall leaves and once your grass starts to grow you can build your pile, monitor and turn it for about 15 or so days, then by mid-summer you have compost ready to apply to the garden after the fall harvest. You can’t do that with a static pile. It’s way too slow. 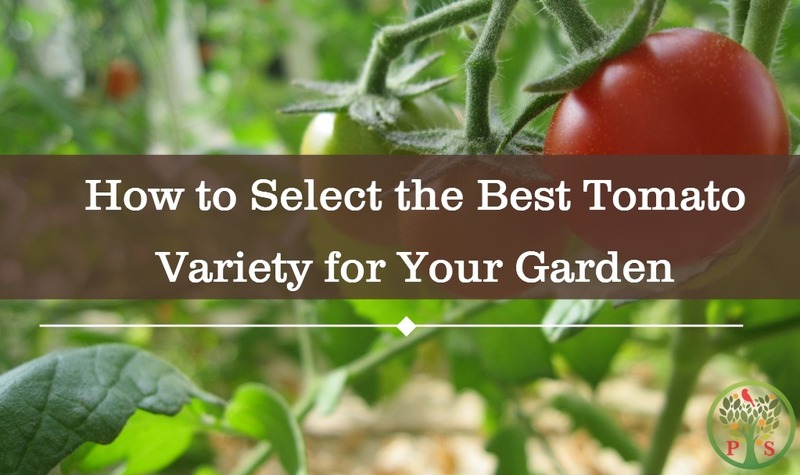 You can also tailor the compost recipe to the type of plant you are growing. Got a vineyard or an apple orchard? Then you make compost that is fungally dominated. Want compost for your lawn or vegetable garden? Then you build a balanced compost pile, targeting the development of both beneficial fungi and bacteria. Find out more about this balance in our FREE Getting Started Composting Guide. You’ve got to be motivated to monitor and turn the compost pile. Hot composting requires some active work, but for only a month out of your summer. The compost will need to be turned about 3-4 times, with each compost turn taking about an hour to complete, unless you have friends and family to speed up the process. With two people, you can turn the hot composting pile in about 30 minutes. This means you also need to be physically able to turn your compost pile. The other major con of hot composting is that you need to have all the materials gathered at once. With the leaf or other brown material, you can stockpile them in the fall and have them ready for the summer hot composting pile. Green materials can be dried out and stored. 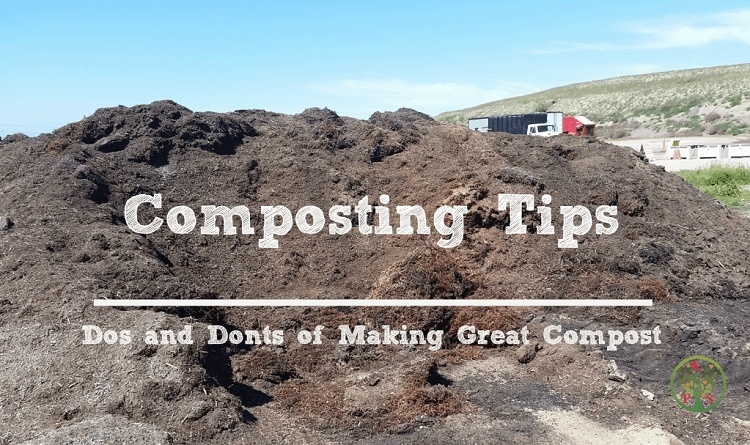 For a few other tips check out this composting tips. You also need a bit of space to build the compost pile and turn it. If you live in an apartment with no access to outdoor space, then consider a worm bin instead to produce compost from your kitchen waste. Common composting problems such as rats or raccoons can be a problem in big city so this may not be for you. Take your composting to the next level and register for our premium online composting class and learn the step-by-step method to master hot composting. A static compost pile is one that is not turned. Many backyard composters do not want to put the work into making high quality compost and prefer a hands off method. A static pile is one that you build and let sit until you have finished compost. Because it is not thermally driven the composting operations can take some time. Many just add composting materials as they are readily available, instead of having to stockpile them and build the pile at once. Some professional composters inject air into a static compost pile to keep it from going anaerobic, but the big issue of the static compost pile is that the outside materials are not heated to a temperature where weed seeds and potential diseases are killed. So you end up with compost that may be full of weeds and maybe even a few plant diseases. Not good. Adding materials just to the top of the compost heap can attract rodent, raccoon and bugs. The material is typically not mixed, often being added via the “lasagna” method of stacking the greens then the browns. But what happens is that this material may be matted and therefore either go anaerobic or not decompose at all. A static pile composting method that you add materials to the top results in difficulty determining when the compost is finished and how to effectively harvest them. A few compost bins have a hatch door at the bottom, but it’s a pain in the toosh to get that compost out. When you just add composting material here and there your compost pile ends up having a lot more problems due not following a specific composting recipe. How to compost starts with having some basic knowledge of how much of each material should go into a compost pile. So if you are an avid gardener or grower and want to make the best compost, consider taking the time and effort to make hot compost. If you are not that motivated, then a static compost pile will eventually make you compost, and you will have the benefit of reducing the amount of waste going to the landfill. Every effort counts! So go for it! 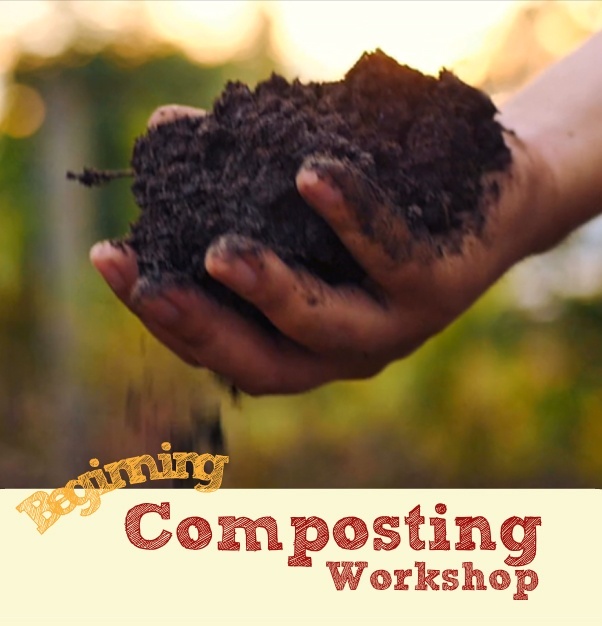 To learn the step-by-step method of making high quality compost, with a little hand holding from us, enroll today in our premium online composting class.